The violin has been played, that much is clear. Its maple surface has the nicks and notches, scratches and grooves that come from daily loving use. Its orange red varnish is faded. Its fingerboard is warped. Its sound post needs replacing. And then there’s the glue repair in the corner, from the time a previous owner, in a moment of high passion, hooked the violin frame with a bow and tore a chunk clean off. And yet, for six decades, this fiddle went unplayed. Until earlier this year, that is, when Littley and the violin found one another. In October, six months and nearly a dozen concerts into their unlikely romance, Marcia Littley and the violin were center stage at a concert of the Amernet Quartet at FIU’s Wertheim Performing Arts Center. 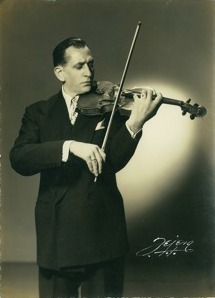 Littley, as second violin, sometimes played in tandem with the lead. Other times, she flirted with the cello or viola. She had a few short solos. As she played, Littley swayed her body and wrinkled her brow, a frown of intense focus on her aquiline features. Littley was the most versatile performer on stage that night, adjusting her approach to make her partners sound perfect. Constant throughout was the clarity, the warmth, and the richness of that borrowed violin. Thirty feet from the stage, in the front row, sat the violin’s owner, Victor Amram. Until April 2013, the violin had been dormant on the top shelf of his closet in suburban Miami-Dade County, waiting to be brought back to life. Victor Amram strained to make out the line of Littley’s violin. He gripped the program in one hand and a wooden cane with his initials in the other. His eyes were rimmed red. When he heard Littley play a fleeting solo, he was transported back to the living room of his childhood home in Cuba, in the years before Fidel Castro, listening to his father play folk music deep into the night. Before reaching Littley, this violin had weathered a revolution, survived a house fire and endured years of oblivion. Its journey from a fine craftsman’s studio in 19th century Europe to a concert hall in 21st century Miami is a tale of dislocation, exile and serendipity. It’s also the story of how a single fiddle can transcend borders, cultures and even time, connecting lives in the most unexpected ways. The label inside Victor Amram’s violin offers a clue to its origin. It says “Antonio Guadagnini, Torino, Anno 1851.” Antonio Guadagnini descended from a long line of Italian violinmakers. His great grandfather, Giovanni Battista Guadagnini, is considered one of the finest craftsmen of string instruments in history, often mentioned with Stradivari and Guarneri. Jose Amram with the violin that has found new life in the hands of FIU artist-in-resdience Marcia Littley. Nearly a century after it was made, the violin turned up in Cuba, played by Alexander Prilutchi, concertmaster of Havana’s Orquestra Filarmónica. One of Prilutchi’s private pupils was a textile manufacturer and violin enthusiast named Jose V. Amram, Victor’s father. Jose Amram was a Sephardic Jew who escaped unrest in his native Turkey to move to Cuba in 1922. There, he fell in love with a pianist and singer named Estrella Ortiz Veranes. They married and had a son (Victor) and a daughter (Raquel). Jose Amram sold shoelaces and other products by day and practiced violin at night. He dreamed of one day playing in the philharmonic, studying under Prilutchi and eventually buying the maestro’s violin. Victor’s father practiced every night after dinner: Mozart sonatas, Argentine tangos, Hungarian csárdás. Sometimes he made up his own melodies. Those evening sessions became the soundtrack for Victor’s childhood. 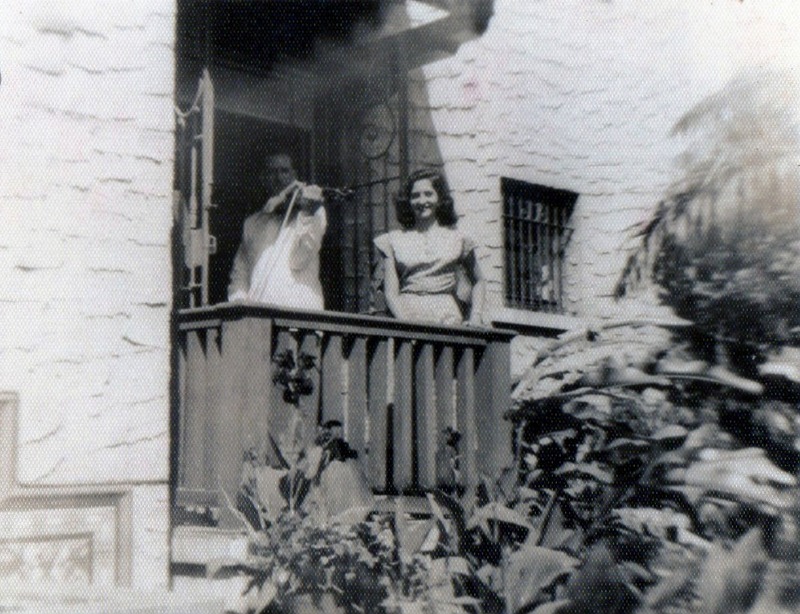 Jose Amram serenades his daughter Raquel at home in Miramar, Havana, Cuba. In 1959, Fidel Castro took over Cuba. Victor and his sister left the island at their father’s urging. Jose Amram never made it out. He died of a heart attack in 1963. The violin was still in Cuba. The family arranged to have it smuggled out, along with some family jewels. Its elegant black case was swapped for a frayed brown one, to escape the attention of Cuban customs agents. The violin made it to Miami, where Victor and his sister settled. Today Victor runs a business distributing equipment used to milk cows. Neither Victor nor his sister played the violin. It barely survived an apartment fire in the 1970s. “The only things that made it out were the violin, the family jewelry and the cat,” Victor said. Victor’s sister died in 2012, and Victor took sole possession of the violin. He wanted to authenticate the label dating back to 1851, and he asked for his daughter’s help. Connie Amram works as an office manager in FIU’s Division of External Relations. She called the School of Music and was referred to the school’s violinist-in-residence, Marcia Littley. Every musician dreams of picking up an instrument and just knowing. “I always tell my students it’s the hair-on-the-back-of-the-neck test,” Littley said. Musicians can go an entire career without experiencing that moment. Or worse, they find the perfect instrument and aren’t able to afford it. Littley had that moment once before, with the violin she now owns. It dates to the 1600s and has an arched top, creating a sweet sound. Problem was, the vigorous players in the Amernet Quartet sometimes drowned her out. 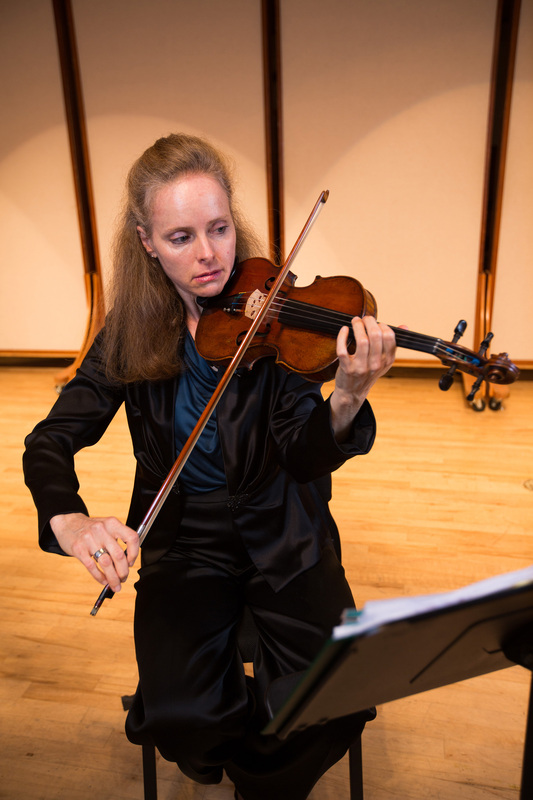 When Connie Amram visited FIU with the family violin, Littley was immediately struck by its flat top. “That was a clue that it was going to be a pretty powerful projecting instrument,” Littley said. Littley drew her bow across the strings. It was the first time since 1963 a musician had played it. Cellist Jason Calloway was also in the studio. He turned around in surprise. Littley asked to borrow the violin for a few days. She brought it to rehearsal. First violinist Misha Vitenson and violist Michael Klatz agreed with Calloway: the sound was a perfect fit for the quartet. Littley has since played the violin in nearly a dozen concerts and in a studio recording in May 2013. She uses her own bow and case. “I feel like this is an instrument that I was meant to play,” Littley said. In October 2013, the Amrams sent the violin to New York for a new sound post and bridge, adjustments that will increase its power and richness. A certified Antonio Guadagnini violin is exceedingly rare and can fetch six figures at auction, says Jonathan Solars of Florian Leonhard Fine Violins of London. At FIU Magazine’s request, Solars and Leonhard examined photographs of the Amram violin. They concluded that Antonio Guadagnini did not make the instrument, even though it bears his name. 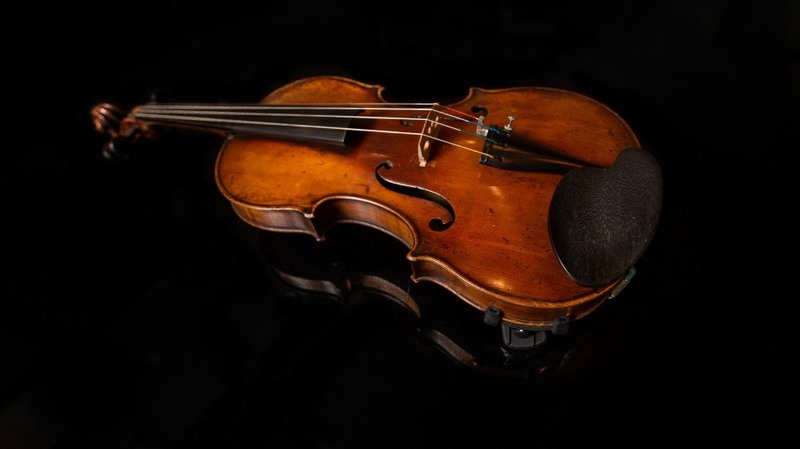 The Amram violin has been appraised at more than $35,000. But Victor says he has no plans to sell it. He wants Littley to keep playing it as long as she wants, not only to carry forward his father’s memory, but because she loves to play it and a violin’s sound improves with use. “The more it’s played, the better it gets,” he said. Ultimately, Victor wants to keep the violin in the family. He has six children, one of whom played violin as a child. He hopes his father’s violin will be played for centuries to come. Dan Grech (@dgrech) is a Media Innovation Fellow at the FIU School of Journalism and Mass Communication. He has worked at Marketplace, the Miami Herald and WLRN and has taught journalism at Princeton University and Columbia Journalism School.